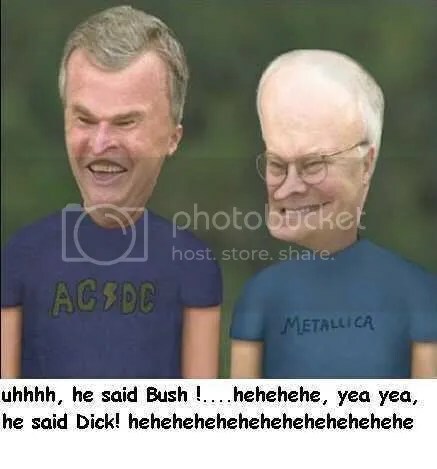 In the last days of their White House tenure the dynamic duo of Bush and Cheney are laughing over their last 8 years. Based on the picture above provide us a short conversation between the President and his Second. The funnier the better!